One of the great composers, beloved by Martin Luther, this composer reached the highest stature during his time. A master melodist, Josquin--as he is known--is a composer to be reckoned with. 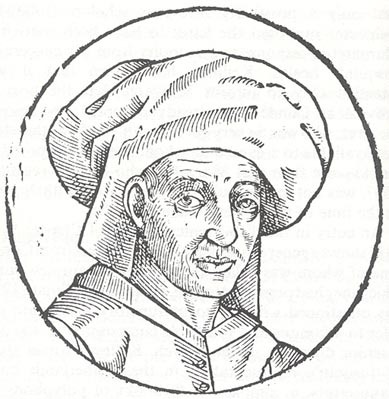 Josquin was one of the most eminent of musicians and the chief contrapuntist of his day. He was a pupil of the composer Ockeghem. From 1471 to 1484 he was a singer in the Sistine Chapel, and about 1488 in Ferrara. He came into eminence at the turn of the century, when he was about 50 years old. He was a brilliant composer, and one of the greatest melodists of all time. His early compositions, written before 1500, were in the old style of Dufay and Ockeghem. He probably learned much from his near contemporary Obrecht, whose music achieved a high point of the 15th century and from all these influences he evolved his own style. Burney called Josquin "the father of modern harmony." The florid counterpoint of his sacred music and the secular cantus firmus that was the basis of most of them characterized his brilliant music, a music that clearly became the beginnings of the eras of music known as the Late or High Renaissance, the music of the 16th Century. His period coincides with the use of movable printing typesetting for music, and therefore his works are preserved in large quantities in volumes and in the collections of Petrucci and Peutinger. His French chansons were published by T. Susato in 1545, Attaignant in 1549, and Du Chemin in 1553. This will serve as a good introduction to Josquin's life and music, as well as the other great renaissance composers (Byrd, Victoria, Palestrina and Lassus.